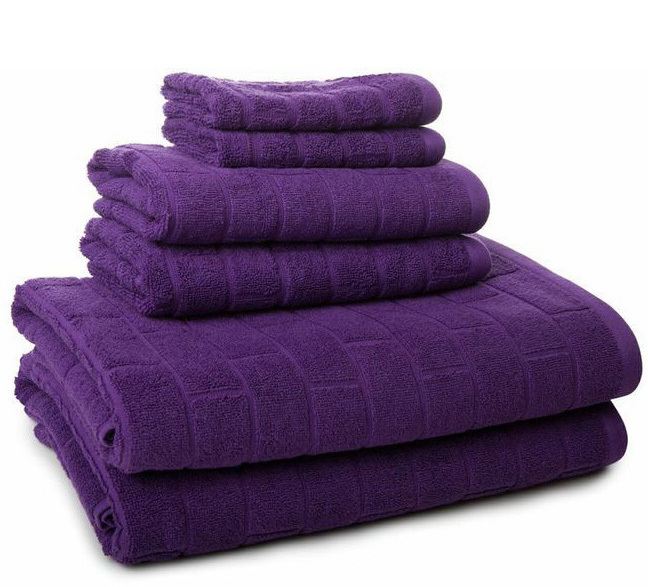 This Vicki Payne Tiles Cotton 6-piece Towel Set in Purple is made of 100% cotton, perfect for everyday use. The simple geometric design make them great for decorative use as well. $46.99 Sale $33.99. Buy here.